Modular by Nature. Beautiful by Design. 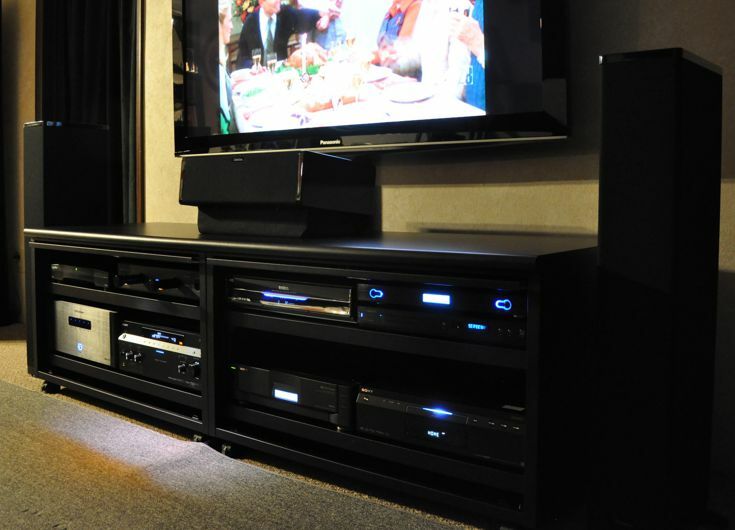 Imagine your dream home theater setup and that's what you'll get. 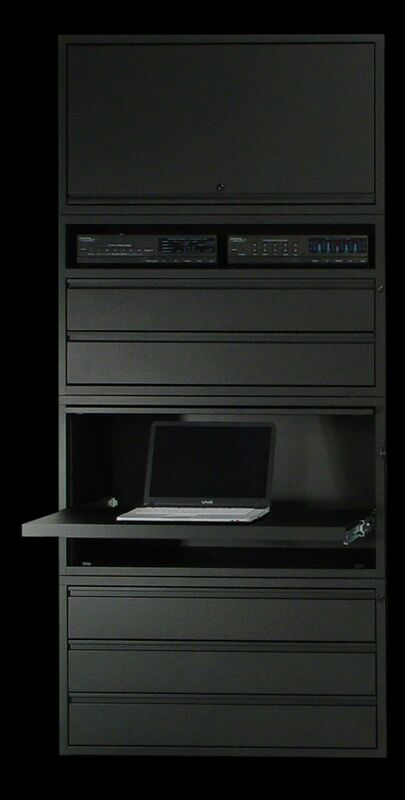 Home theater furniture you design using modular steel media cabinets. And relax, if you move or change equipment you can always expand or reconfigure. Your dream setup is just a click away. Go configure. So who better to design your Home Theater experience than you? You know your limitations, your media collection, your electronics and you know there's no end to them. So why lock yourself into a cookie cutter entertainment center you know you'll outgrow? You can't outgrow a CAN-AM home theater because it will reconfigure to meet whatever the future has in store. With a huge variety of cabinets at two different widths and six different heights you can find a solution that looks like you had it custom built... when in fact it was you that designed it using stock Can-Am cabinets. Only your Bank Manager will know how much you saved. 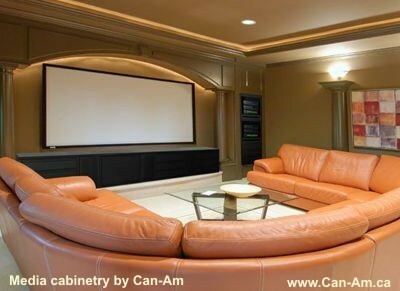 Can-Am modular cabinets will configure to work with any size TV or screen. Two or three foot modules stack and combine to fit any space. Can-Am cabinets are also available in eighteen colors to match any decor. Use our Go Configure Tool to design and price your setup.You can even see how your projection screen, wall mounted plasma or TV will look in your configuration. your equipment, CAN-AM cabinets will easily reconfigure. Who knows what electronic gear the future has in store or how extensive your DVD and Blu-ray library becomes? Our customers tell us time and time again how satisfying it is to own media furniture that exceeds their expectations. Even custom wood cabinetry falls short in the test of time. CAN-AM cabinets provide limitless design flexibility. Your only limit is your imagination. Go ahead. a product that is as durable as it is environmentally responsible. you might want to consider that wood and particle board entertainment centers account for a huge area in our landfills. CAN-AM Cabinets are made of steel, and are available in eighteen decorator colors. 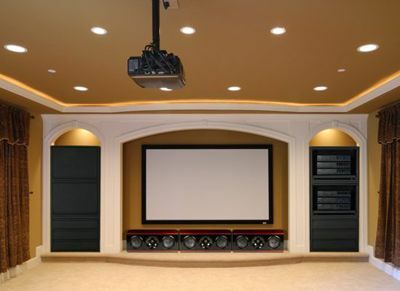 While you can Go Configure your own home theater setup, Can-Am can help. Call to speak to one our designers.